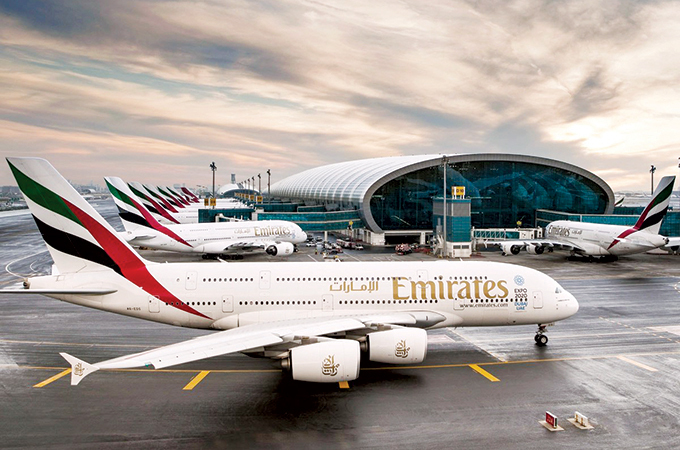 Asignificant number of scheduled Emirates flights will be impacted by the closure of Dubai International Airport’s Southern Runway for maintenance work between April 16 and May 30, 2019. Given the limitations around operating flights using a single runway at its hub, many Emirates flights will be cancelled, re-timed or have the operating aircraft changed in order to reduce impact on customers. This will result in up to 48 Emirates aircraft not being utilised, with a 25 per cent reduction in the overall number of flights operated by the airline during the 45-day period. Emirates will adjust its services into South America to optimise fleet utilisation. From June 1, 2019, the airline will deploy its newly refurbished two-class Boeing 777-200LR on its daily service from Dubai to Rio de Janeiro. Offering wider Business Class seats laid out in 2-2-2 format and refreshed seats in Economy Class, this service will continue from Rio de Janeiro to the Argentinian capital city of Buenos Aires four times a week, and on the remaining three days it will operate onwards to Santiago, Chile. With a view to providing more efficient and direct connection options for customers travelling to and from Australia, Emirates will suspend flights EK 418/419 between Bangkok and Sydney from June 1, 2019. Emirates will continue to serve Sydney with three flights a day non-stop to Dubai, and Emirates’ customers wishing to travel between Bangkok and Sydney will have flight choices provided by Emirates’ partner Qantas. Effective March 31, 2019, Emirates will suspend EK 424/425 and serve Perth with a once daily Airbus A380 service non-stop from Dubai. Emirates customers travelling from Perth will continue to enjoy rapid two-way connections through Dubai to over 38 destinations in Europe, and a further 16 cities in Europe via Emirates’ codeshare partner flydubai. Customers will also be able to enjoy a seamless Emirates A380 experience between Perth and close to 20 destinations in Europe. Emirates is also expanding its fleet by deploying additional flights to several markets in Africa starting in June 2019. The additional services will satisfy the increased demand that the airline has witnessed in these markets, and will offer customers even more seamless connections between these destinations and Emirates’ global network through Dubai. Cities in Africa that will be served by additional Emirates flights include Casablanca, Morocco; Abuja, Nigeria; Accra, Ghana; Conakry, Guinea and Dakar, Senegal. Multiple destinations across Europe will also be served by additional Emirates flights during peak travel season leading up to and lasting through the summer of 2019.